EXCEPTIONAL LOCATION FOR YOUR BUSINESS! Some permitted uses include agricultural headquarters or equipment sales; bars or bottle clubs; construction offices; convenience stores; lawn/garden supplies; mini-storage facilities; and restaurant with or without drive thru. Other permitted uses are possible by a potential Special Exception. 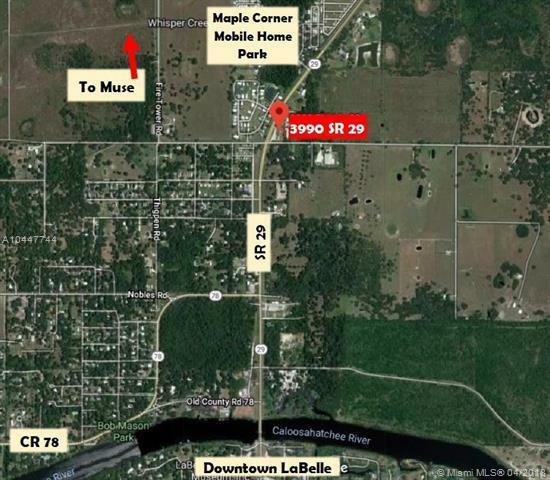 This one+/- acre tract has over 260+ ft. on SR 29 North plus frontage on 200+ ft. on Marshall Field Road. 7,000+ SF building is in disrepair and no value was given pricing property. 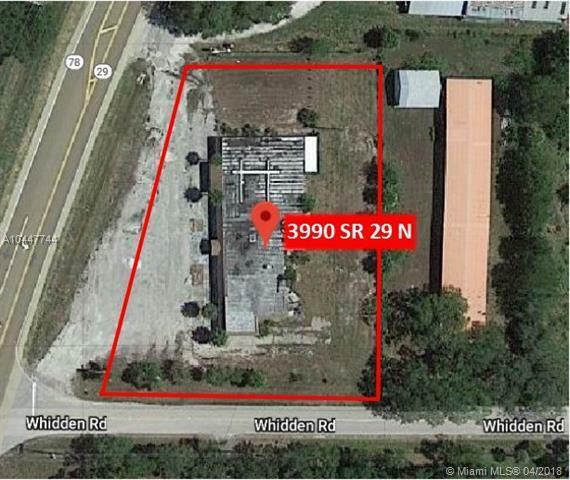 Potential to renovate building in part must be addressed with Glades County Zoning. Owner believes septic system is viable but is not warranting. Property has one 4 well, but well may only be viable for irrigation use. Zoning and FLUM are both Commercial General (C-2). Listing courtesy of Southern Heritage Real Estate.